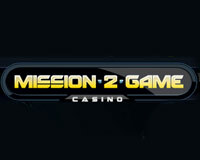 This bonus is valid for new players, to redeem this code you must be registered from casino-bonus.club and casinobestbonus.com. Wagering requirements: 30x Bonus + Deposit. Games allowed: All games, except Progressive. Restricted territories: Israel, Romania, Republic of Moldova. Special instructions: Redeem Bonus in Live Chat.